Since creating the world's first modeling amplifier nearly two decades ago, we've continued to push the boundaries of what's possible in a guitar amp. 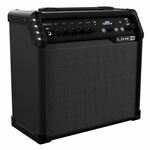 Line 6 amplifiers are loaded with innovative, groundbreaking technology-delivering an unrivaled combination of power, performance and amazing tone. From the stage to the studio, Line 6 amplifiers will inspire your creativity. American Musical Supply is excited to be your stop for Line 6 Combo Amps! We offer True 0% interest payment plans - applying is easy and there is no credit check for our 3-pay plan on purchases from $49-1,500. Use your own debit or credit card, enjoy fast and free shipping, and add Line 6 Combo Amps to your creative setup. 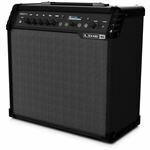 We make buying Line 6 Combo Amps quick and easy - in-stock items that are ordered before 4PM EST will ship out the same day! Do you have questions and want to know which items would be best for you? Give us a call at 800-319-9043 - our experts are standing by.